If we were honest with ourselves I believe what most people want for the holidays is to take a break from the usual holiday expectations and just enjoy time to relax with family and friends. Unfortunately, most of us might feel that our “To Do List” is running the holiday show! Her insight about the stress during the holidays began to change when she asked herself about the cost of putting on the show. My favorite part in the book was when she describes trying to send out 225 Christmas cards a few years ago and her family kept interrupting her to the point in which she yelled, “I HAVE to finish these Christmas cards; they are NOT going to address themselves! !” She continued to tell herself that “the show must go on” even though she began to notice it was at the expense of her own well being. How many of you have felt the same way? We literally become exhausted and just can’t wait for all of it to be over. Life can easily become all about the pageantry and we know the best performers make it look super easy and effortless, but behind the curtain most people are struggling with anxiety, overspending, and difficult relatives, just to name a few. Brené suggests that” canceling the show” and enjoying the holidays can be an easy concept and all we have to do is make a few changes! Decide what the holidays mean to you and about what you value, not about others expectations! Ask yourself, “Is the part of US or part of the show?” Change things to fit your value system. I wanted my family to start thinking about what they are grateful for so I created a “Daily Gratitude Jar” for everyone write down something they were grateful for and we are going to read them on Christmas day. This reflective question gives us the opportunity to be our authentic self and able to honor our values and feel more connected with others. We want to celebrate the holidays and there isn’t the resentment and stress, don’t worry about sending out cards! Dr. Brené also reminds us that saying “yes” to the small and quiet and “no” to the show allows us to focus on what is truly important, which is just being together. Now that is what I REALLY want for the holidays! Recently I came across a “To Do List” that was written in the true spirit of the season. 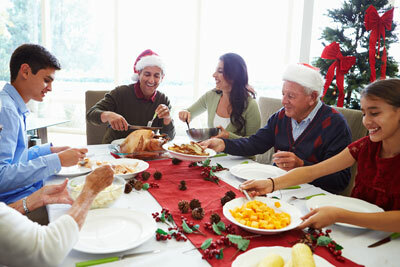 Do you have any insight into staying sane, present and happy over the holidays? I’d love to hear it!